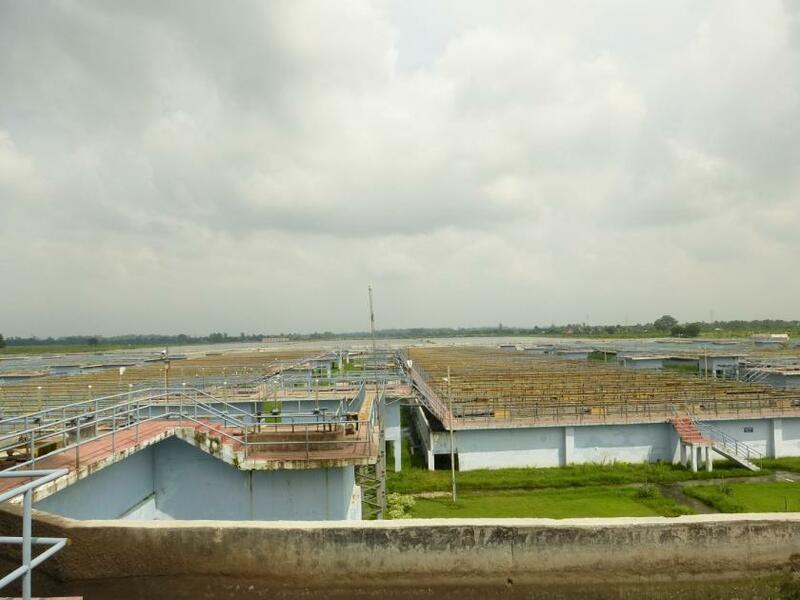 Sewage plant near Lucknow, India, 2013. Photo by Flickr. The volume of sewage in the world is set to rise in line with population growth. Furthermore, the growth in global wealth means our wastewater, including sewage, contains increasing amounts of dangerous chemicals, toxic substances and the debris associated with modern consumer lifestyles. Over 80 per cent of the world’s wastewater—and over 95 per cent in some least developed countries—is released to the environment without treatment; 2.4 billion people still do not have access to improved sanitation. Only 26 per cent of urban and 34 per cent of rural sanitation and wastewater services effectively prevent human contact with excreta along the entire sanitation chain and can therefore be considered safely managed.